MuRata will stop offer trimmer capacitors after 2021 March, maybe it is not a good new for some customer who support product by MuRata. Some product of TZY2 series, which is small and thin size with external dimensions of 2.5(W) x3.2 (L) x1.25max(H)mm, have been discontinued (remark:red). Blue-label products will be discontinued as below. 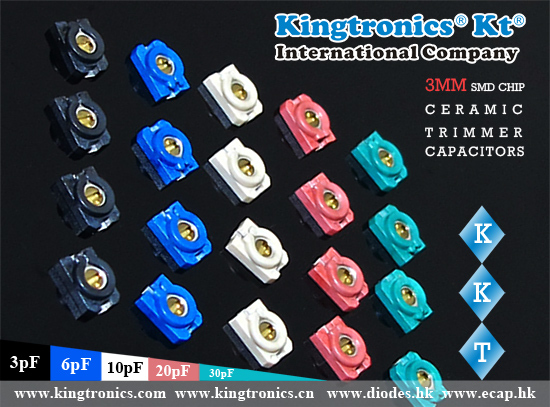 If you change your PCB pattern size, Kingtronics KKT series suit for you, which is small size with external dimension of 3.2(W) x 4.5(L) x 1.5(T) mm. New shape of cover can improve the adhesion between rotor and stator leads to superior stability. It is suitable for high frequency circuit due to high self-resonant frequency. 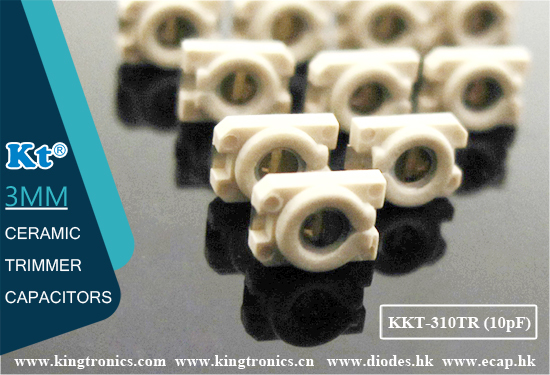 We can be your best support for KKT series with regular stock, competitive price, RoHS qualification, few samples! Hope you had great Chinese New Year Holidays and back to you. Are you worry about Murata TZV2 series will be discontinued? 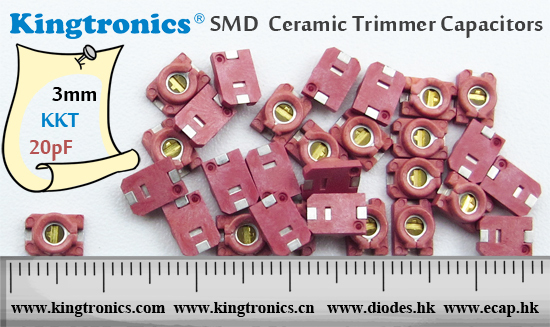 We are surface mount 3mm Ceramic Trimmer Capacitor manufacturer in HK and want to deal with people who need Trimmer Capacitors. Murata posted news in the website that trimmer capacitors will be discontinued after 2021 March. 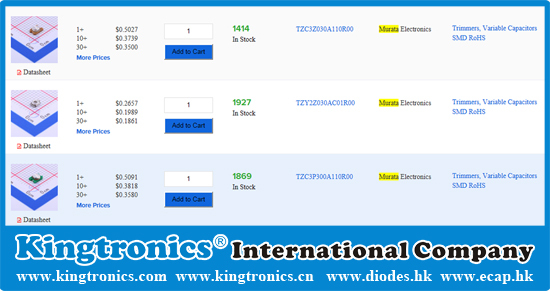 As a competitor, we suppose that TZR1 Series (Ultra-small and thin with external dimensions of 1.5(W)x1.7(L)x0.85(H)mm) and TZW4 Series (Compact size: 4.2(W)x5.2(L)x2.6max. (H)mm) have no replacement product in the market for the same capacitance and size. 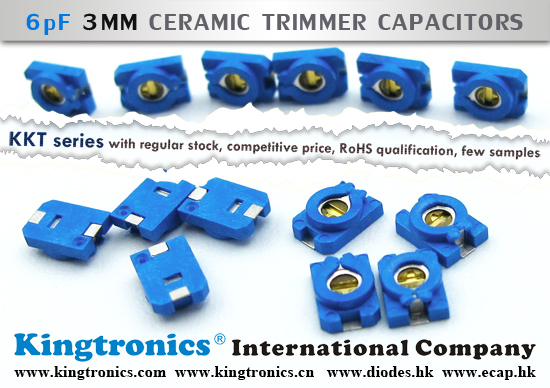 Could you please think about using Kingtornics ceramic trimmer capacitors KKT series small size with external dimension of 3.2(W) x 4.5(L) x 1.5(T) mm? Unique construction with no plastic material provides superior soldering heat resistance to maintain excellent characteristic performance after reflow soldering. It is suitable for high frequency circuit due to high self-resonant. Ceramic Trimmer capacitors are variable capacitors. 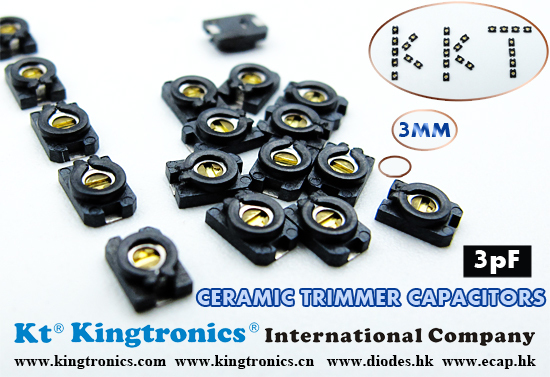 They are mounted directly on the PCB board with a provision to vary their value using a small screwdriver.The trimmer capacitors are serving the purpose of initial calibration of equipment during manufacturing or servicing and are not meant to be varied by the end user. It is used to remote keyless entry system, measuring instrument, security system and wireless microphone. Murata Ceramic Trimmer Capacitors TZB4 and TZC3 series to be discontinued in 2019. 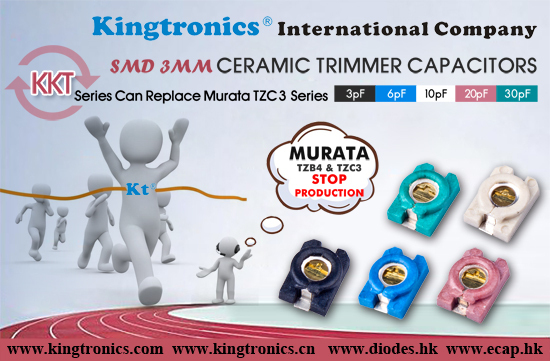 As a competitor, Kingtronics KKT series can replace Murata TZC3 series. 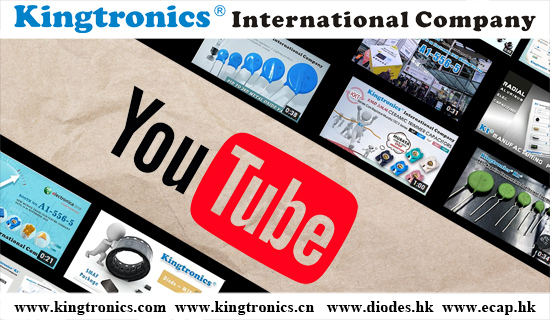 If you are looking for a TZB4 series ,we recommend that you change the devices size to fit KKT series because of there is no direct replacrment product in competitors. 1)Small size with external dimension of 3.2(W) x 4.5(L) x 1.5(T) mm. 2) Color coded case permits easy identification. 3) Heat resistant resin withstands reflow soldering temperatures. 4）Bulk and reel packaging are available. 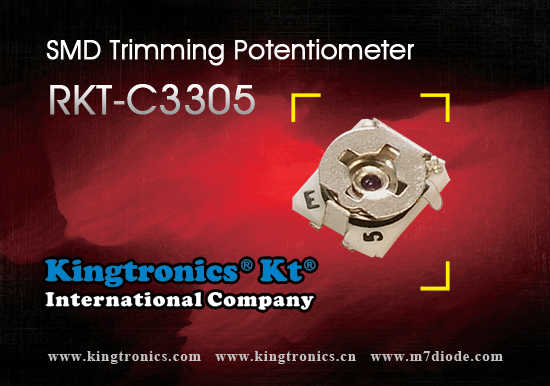 Maybe you are still using other famous brands' trimming potentiometer, once switch business to us, you will find out your profit is maximized in a much larger scale, no wonder it helps you to win more market share, we are the oldest factory of trimming potentiometer in China, it proves you get an enormously powerful business partner. No more hesitation on sharing inquiries or orders with us, we are at your service all the time, let us join efforts and make every endeavour.